The Healthcare industry and Healthcare technology is changing rapidly with the changing needs of the patients. Most people who go to a hospital for treatment trust that they will receive the highest level of care and experience the best possible recovery. As patients consider the several hospitals available to care for them and their family, how can they know which offers the best quality? To anticipate and fulfill patient needs and meet their increasing expectations, advanced technology and new facilities are required. Indraprastha Apollo Hospitals, Delhi keeps itself abreast with the new technology and keeps increasing the scope of services to cater to overall requirements of the patients as well as focusing on quality patient care. 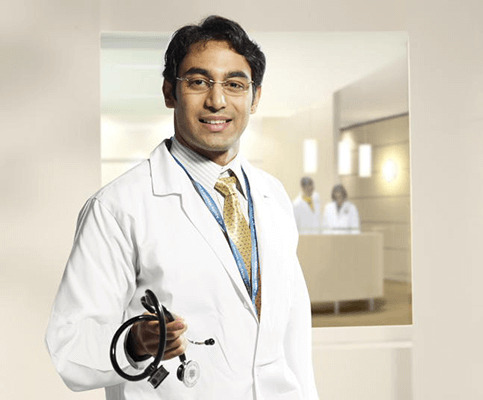 For more than 15 years, Indraprastha Apollo Hospitals has been providing domestic and international patients with high-quality, patient-focused medical care. At Indraprastha Apollo Hospitals, quality health care has and always will be among our top priorities. We strive continually to provide excellent quality care in a safe environment. We constantly look for ways to raise the bar on quality health care and safety for our patients. Indraprastha Apollo Hospital’s Quality Steering Committee, made up of representatives from Hospital senior leadership, and leaders of the medical staff, sets our direction as a continuous process. The Committee reviews past achievements and challenges and also identifies a set of Established Goals to guide the Hospital for the quality care and safety for our patients. With international accreditation like Joint Commission International (JCI) making sweeping changes on the medical landscape, the concepts of quality and excellence form an essential pillar of healthcare delivery. The thrust of healthcare quality is essentially to ensure that safety and superior outcomes are consistently delivered. 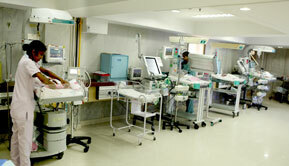 Indraprastha Apollo Hospitals was the first hospital in India to be accredited by JCI in 2005. We have currently been reaccredited by JCI for the 4th time in May 2014. JCI works directly with healthcare organizations to achieve their goals of providing quality clinical care and services in safe, efficient and well-managed facilities. Joint Commission International accreditation standards call for as many as 1196 measurable process indicators to be recorded to cover all medical and non-medical processes. The hallmark of an outstanding institution is its ability to ensure consistency, reliability, safety and quality across the entire organization. Apollo Hospitals comfortably meets this criterion. The hospitals have world comparable rates of healthcare associated infections like Ventilator Associated Pneumonia (VAP) and Blood Stream Infections (BSI). Complex surgeries including transplants, complex hepatobiliary and urological surgeries are performed, with the Average Length of Stay (ALOS) for postoperative patients and outcomes comparable to global standards. Our complication rates for post coronary interventions; TKR, TURP, endoscopies etc. are comparable with the best in the world. The Quality Department: The Quality Department focuses on patient safety, healthcare quality, and having open lines of communication with the various departments in the hospital. The department also conducts extensive research for identifying further opportunities for improving the quality standards. The department maintains the JCI accreditation as well as the ISO 14001:2004 accreditation (Environment Management Systems). The department conducts training and awareness sessions across the various sections of the hospital and facilitates in enforcing the implementation of the standards. Besides this, internal audits are conducted to ensure compliance to standards. Interdepartmental coordination is sought for conducting the functions of the various committees in the hospital. The Quality Department formulates the Quality Program, in order to define the quality assessment framework and the quality measurement work plan. 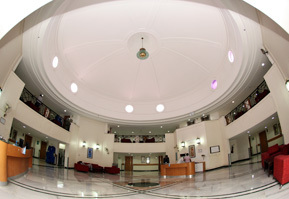 The Quality Program in the hospital addresses the various challenges such as identifying and balancing the competing perspectives of the major participants in the healthcare delivery system, establishment of an accountability framework, establishment of the explicit criteria by which health system performance is judged, development of indicators for routine reporting, mobilizing all staff, medical, nursing and management on one aim: providing a high standard of quality care to patients. The program also identifies factors that inhibit progress in improving and assessing performance. Performing clinical audits, quality improvement, mortality and morbidity reviews. Continuing Medical Education Programs (CME’s) for healthcare professionals.